And while these festivities are held very much for the local people to enjoy rather than the tourists, all visitors to the island are more than welcome to join in. This major international sailing regatta takes place in Porto Rotondo annually each May. Spectators flock to the area to admire the skills and sailing boats of the competitors and to soak up the atmosphere of this exciting event. 2019 dates are 30/05/19 - 02/06/19. Each year, the inhabitants of Olbia celebrate the martyrdom of their patron saint, San Simplicio. 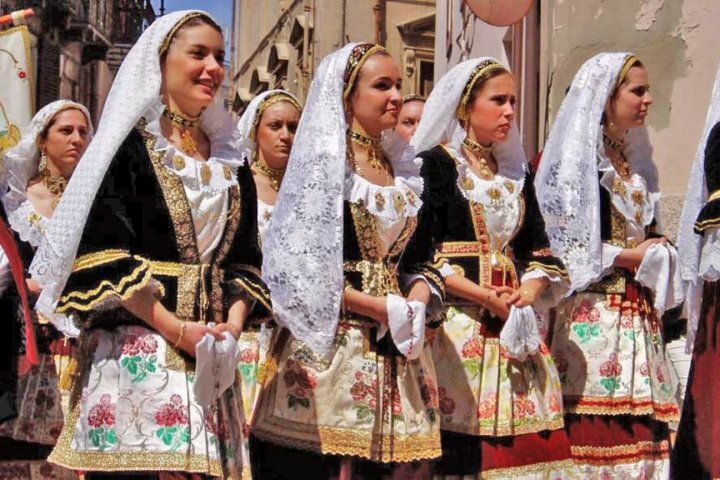 Various activities happen around the city throughout May, but the highlight is the procession that passes through the town, with everyone dressed in their local traditional costume. The seaside retreat, Hotel Villa Margherita, makes an excellent base from where to explore the area and the vibrant old town of Olbia. 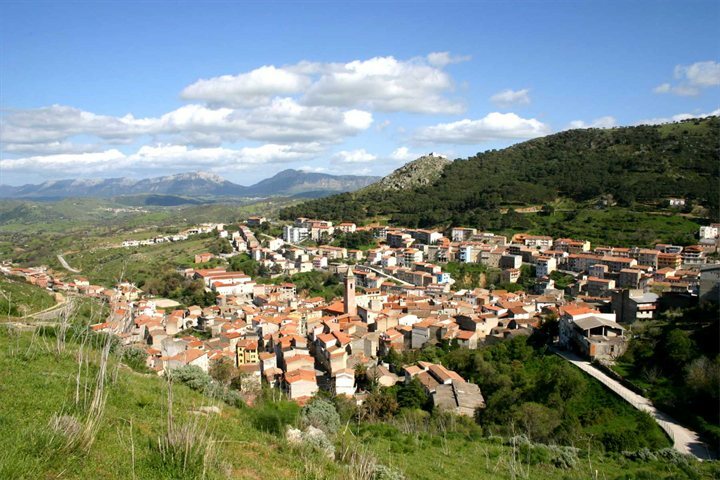 This colourful celebration of Sardinian culture sees people from all over the island coming together, and this year it is held on Sunday 21st May. The town comes alive with colourful decorations, wonderful costumes, horse shows, local poetry competitions and traditional dancing. Apartment Rosa in Alghero is about a 30-minute drive away from Sassari. Each May, the town of Bitti celebrates the feast of Our Lady of the Annunciation with a variety of processions, feasting, dancing and songs. This traditional and religious festival starts on the second Friday of the month, with the main feast held on the third Sunday. Events culminate with a procession through the town on the following Tuesday. Hotel Su Lithu is a small, family-run, traditional hotel and the perfect base from where to enjoy the celebrations. The Festa di sant'Efiso takes place in Cagliari each year from 1st to 4th May. Amongst the many festivities, the celebrations include the "grand procession", commemorating the end of the plague in 1656. Representatives from villages all around the island dress in their village’s traditional costume for the parade. The 'Monumenti Aperti' was set up to give access to monuments and museums that are traditionally inaccessible to the general public. This happens across the island throughout the summer, but is particularly prominent in Cagliari during the month of May, where there are various exhibitions and open gallery events to coincide with the Festa di sant'Efisio. 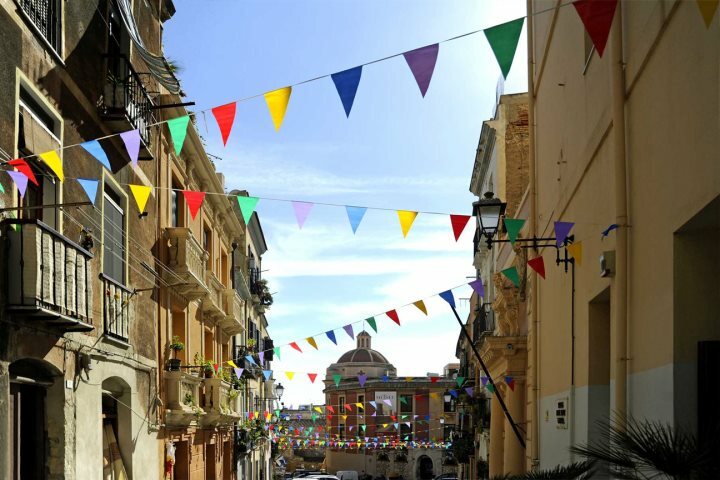 Apartment Serena provides an excellent base to enjoy the May celebrations in the island’s capital, Cagliari.